Origin is more than just a company that sells Drive Thru Menu Boards. We help you with every step of the process from design, installation and accessories. 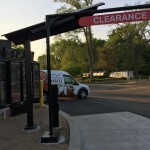 We have several years experience in signage, we know how to help you get your message in front of your customers’ eyes in the most effective ways. 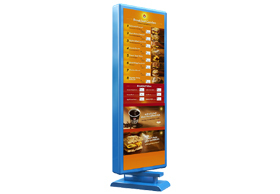 Whether you need a drive thru menu board main unit, side panels, new communication devices or additional advertisements than Origin Drive Thru Menu Board systems is the right way to go. 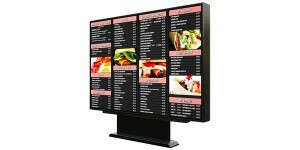 This product is perfect for the any business in the Restaurant Market! 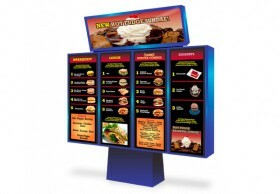 Origin’s drive thru menu board main units are the most versatile drive thru menu board systems available! 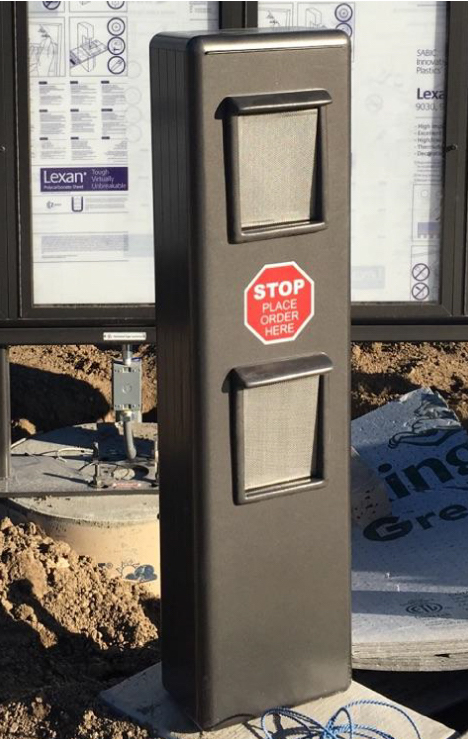 Choose your size, color, and panels to create a combination that fits your needs. 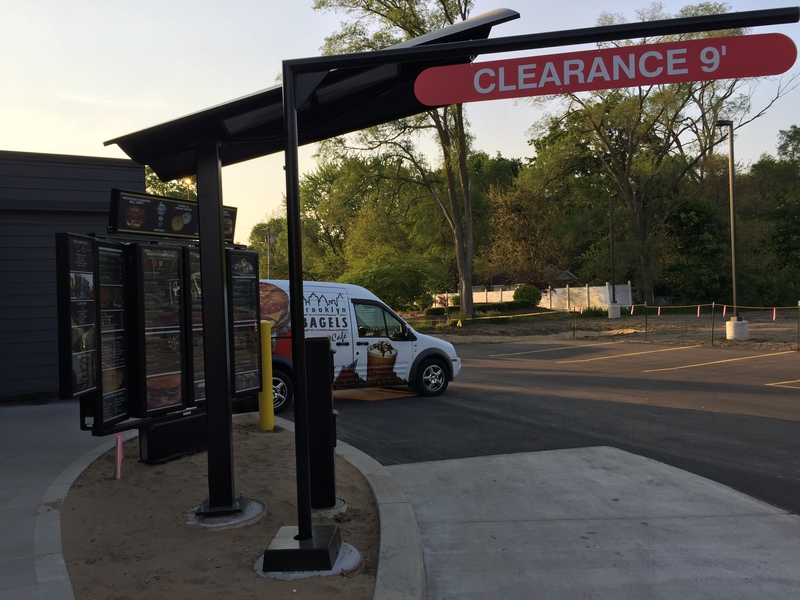 Use appendages – side wings, toppers and even bottoms to add valuable graphic space to an existing main unit.This is the perfect way to customize your drive thru menu board without the need for major construction and installation hassles. Need extra space to highlight specials? Adding a new breakfast menu or daypart? Need more room for combo meals? Add a presell board to your drive thru lane to increase speed of service and sales. 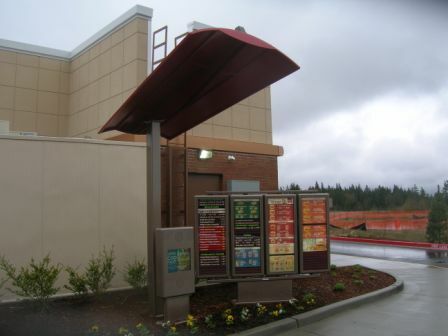 There are many elements that make up a fully functioning drive-thru. Quite often the accessories that help you avoid insurance claims, increase customer satisfaction and optimize your turnaround get overlooked. 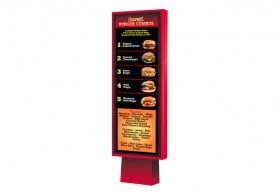 Learn how you can capitalize on all of the above with Origin’s drive thru menu board accessories.